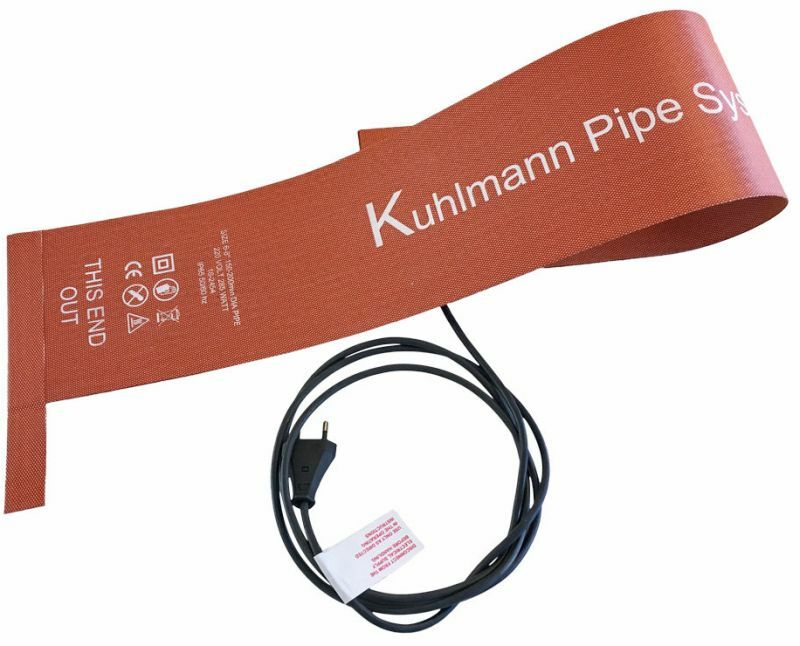 Heated Blankets For Pipes from Kuhlmann Electro-Heat Pipe Systems are designed for fast and securely curing and joining PE & GRE Pipes but they can also be used in a variety of other purposes (ie. curing GRP, GFRP, RTR and FRP). Designed to save time and money curing plastic pipes. Kuhlmann Electro-Heat Pipe Systems are designed for fast and securely curing and joining PE & GRE Pipes but is also used in a variety of other purposes (i.e.. curing GRP, GFRP, RTR and FRP). This pipe curing blankets are designed in durable but flexible and light material with the ability of heating to a maximum temperature of 180°C. This blanket is without insulation which results in perfect contact and even heat spreading to the PE (Polyethylene) or GRE (Glass Reinforced Epoxy) pipes. Kuhlmann Electro-Heat Pipe blankets comes installed with either a bi-metal limiter (180°C) or PT100 sensor (which requires a separate temperature controller). Our heating blankets are available in many standard sizes with different output, which can be seen in the following specification. If a custom size and / or output is wanted, we are of course also able to deliver this. Contact us for more details as well as for delivery. These pipe curing blankets will save you a lot of time and money when it comes to joining and curing both PE and GRE pipes. Optimal curing of the composite materials, carbon, and epoxy prepreg. Available with PT100 sensor or bi-metallic limiter (0-180°C). Special sizes produced upon request.